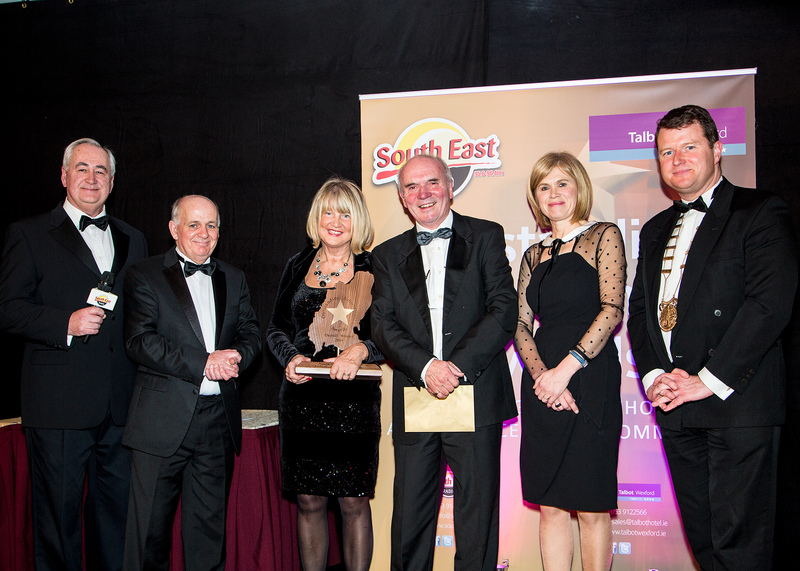 Congratulations to Fr Sean Devereux, the South East Radio/Talbot Hotel Outstanding Achievement Award winner for December. Fr Sean, who is settling in as parish priest in Cushinstown, was another “gobsmacked” winner for his outstanding contribution over a 15 year period with communities in The Gambia. Fr Sean spearheaded the development of rural communities in The Gambia to encourage them to be more self sufficient through education and by example. The development work was linked to proclaiming the message of the gospel in a predominantly Muslim country. Most of the work he did was with people who didn’t share the same faith but benefited from witnessing the life he led through the life he lived. The very simple things gave The Gambian natives great joy, like seeing a new school open or mucky water springing from a tap just drilled. The South East Radio/Wexford Rotary Recycle for The Gambia initiative culminated in the delivery of a container of bicycles, computers, football boots, jerseys, to name but a few of the items received. In the Western region of The Gambia it is not surprising to see Wexford jerseys on youngsters and adults alike! Speaking about Fr Sean, Paul Mendy from Gambia, says without the help and support of Fr Sean he wouldn’t have received the opportunity to travel to Ireland and receive an education. He says when Fr Sean lays his hands on a project it gives people hope, as they know something positive will happen. Fr John Carroll says that Fr Sean is an example of what can be done when a person is generous of mind and of heart. Congratulations to Fr Sean Devereux on his exemplary work in The Gambia. Beryl Kelly was a “gobsmacked” recipient of the November South East Radio/ Talbot Hotel Outstanding Achievement Award! 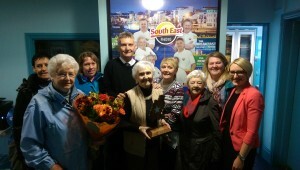 Beryl’s incredible voluntary work spanning over 25 years with the Gorey Arch Club has not gone unnoticed. Beryl was a natural person to approach to help form the Gorey Arch Club as she had been an active volunteer with the Gorey Red Cross. She is the only remaining founding member of the club. The Gorey Arch Club is a recreational club for people with intellectual disabilities. The club provides a wonderful outlet for its 34 members to meet and socialise whilst engaging in arts and crafts, games or dancing. The members and volunteers regularly go on trips together to enjoy for example local amenities like bowling. Fellow volunteer Margaret Chapman says that Beryl is the “backbone” of the club where she puts her heart and soul into the club and its members. The club has far reaching benefits for the people who attend. It gives them an opportunity to become more socially active and get to know people outside of their everyday environment. Of course the service provides a well earned break for the care providers of the club members. Well done Beryl on the incredible voluntary work you do. 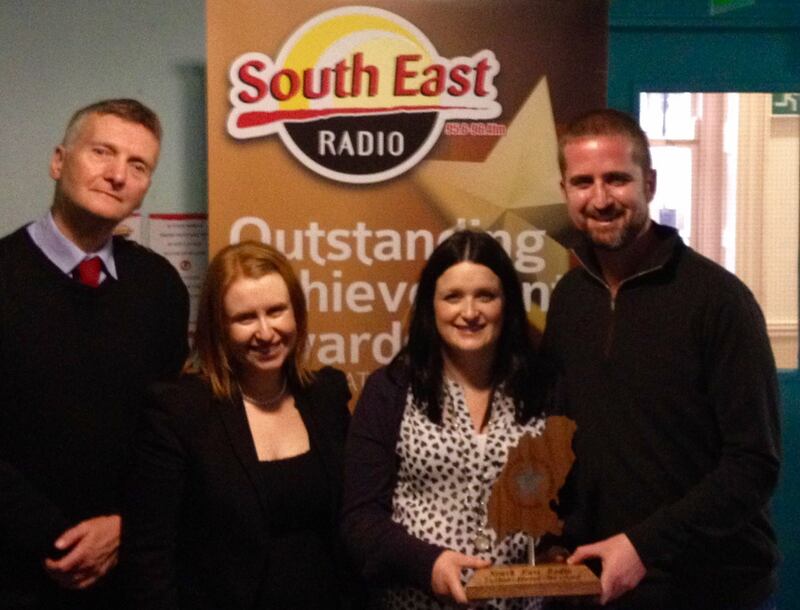 A humble Michael Jordan received the October South East Radio/Talbot Hotel Outstanding Achievement Award. Inspired by his invalided grand mother and her visit to Lourdes in 1952, Michael began fund raising for the annual pilgrimage to Lourdes when he started his working life. For the past 30 years Michael has been a regular visitor to Lourdes with many of the visits as a helper and a supporter to those that need it. Every year the pilgrimage hosts 70 to 90 people on the trip. 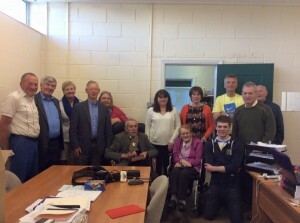 Michael is the chairperson of the Diocesan annual pilgrimage to Lourdes for the invalid section. He enjoys the reaction of the visitors each year and forms special bonds with many of them as they witness together the miracle that is Lourdes. 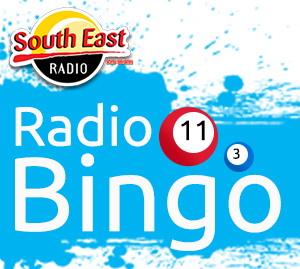 The committee raises approximately €60,000 every year with much of the funds raised through a raffle. Breda Doyle, who works on the organising committee with Michael describes him to be a “kind, generous and gentle”person. Another committee member Eamonn says it was important to acknowledge the extraordinary amount of work that Michael does, not only for the pilgrimage for the many other organisations that he volunteers for. Barntown Community Centre was a hive of activity the day Billy Murphy was awarded as September’s winner of the South East Radio/Talbot Hotel Outstanding Achievement Award. A popular winner, Billy was honoured to receive the award on his own behalf and on behalf of the family run Wexford Academy of Martial Arts. Billy, a 6th Dan Master in Kickboxing, is synonymous with martial arts in Co Wexford, indeed in Ireland and around the world. “Kickboxing not only teaches self defense, it teaches respect and loyalty and how to treat each person the way you would like to be treated” says Billy Murphy. He encourages children as young as 4 years old to get involved and has members 55 years old and more. 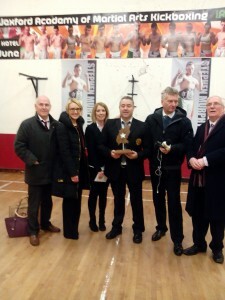 He has a long list of achievements in kickboxing among which he is the current President of the World Kickboxing Association, he is a top International Referee and he was also selected as the International team coach for the Internationals, Ireland vs Scotland in March 2013. 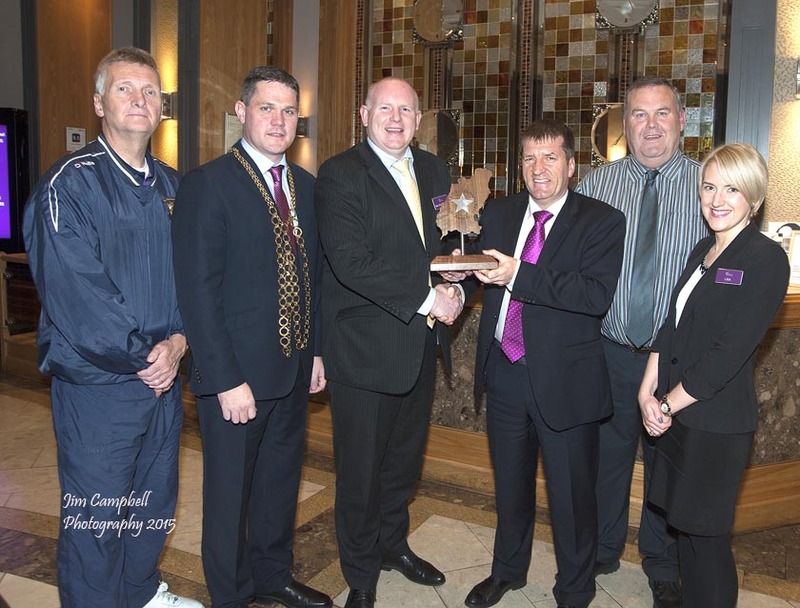 Speaking at the presentation of the Outstanding Achievement Award, former Councillor Padge Reck said that Billy Murphy has brought great honour and glory to Wexford. Well done Billy, you have indeed done yourself, your family and Wexford proud. 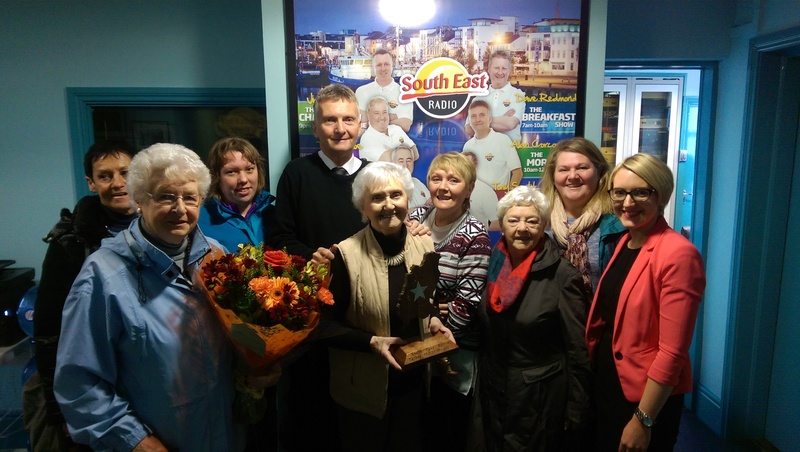 A big well done to 93 and a 1/2 year old Ann Ennis, winner of the August South East Radio/Talbot Hotel Outstanding Achievement Award. What an amazing lady! Ann has volunteered with Oxfam for more than 50 years. She began volunteering at her local Oxfam shop in Oxford Street, England back in the 1950’s, in fact not too long after the shop was founded in 1942. A mother to 11 children, sadly 3 of whom have died, Ann found she had time on her hands and wanted to help others. She popped into her local Oxfam and it was there her love of volunteering started. As a people person, Ann is a natural front of shop person. She loves spending time with people and helping them. It is the very essence of her longevity and her great joy de vivre. She continues to work 2.5 days a week and loves every moment she spends at the shop. She embraced new technology in the form of a computerised cash register and there was no stopping her. Thanks Ann for being an inspiration to us all and showing us the importance of giving to our own health and well being. 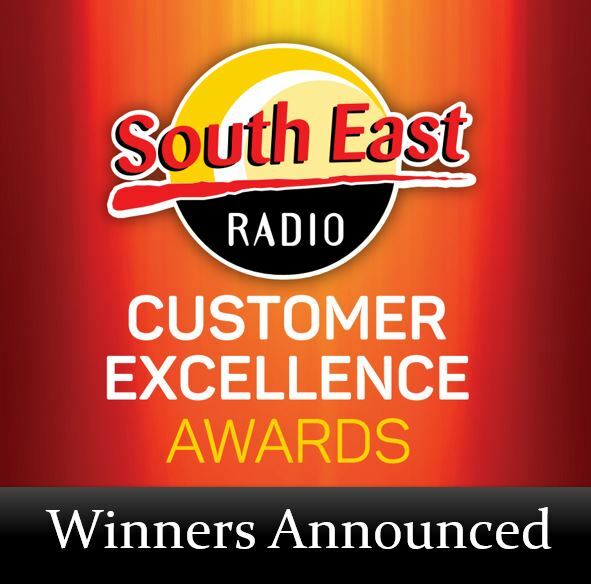 A very surprised and humbled Matt English received the South East Radio /Talbot Hotel Outstanding Achievement Award for July. 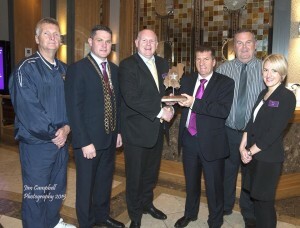 Matt is the CEO of Special Olympics Ireland and a ………proud Wexford Man! Yellow bellies are everywhere! Growing up in Rathnure, Matt was an avid hurler and supporter of all things Wexford. He is a regular visitor to his family in his home county. Matt was the Chief Financial Officer of Special Olympics Ireland and one of the organisers responsible for bringing the 2003 Special Olympics to Dublin and Belfast. Ireland was host to 177 countries, a whopping 7,500 athletes and 30,000 volunteers! They introduced the concept of the host towns where Special Olympians and their families stayed in peoples homes for the duration of the games. The opening ceremony will live long in peoples minds for the spectacular and emotional event it was. Matt is amazed at how much the games have grown since then. Ireland has the highest percentage of Special Olympians participating at the world event. A big congratulations to Joan Kavanagh, the June winner of the South East Radio/Talbot Hotel Outstanding Achievement Award. 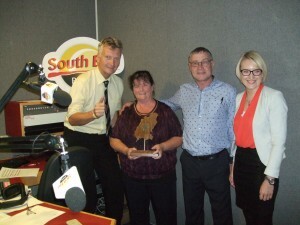 Surprised in studio during the South East Radio Morning Mix programme, Joan couldn’t have been a more shocked or a more worthy recipient of this award. Joan is a perennial fund raiser and general all round organiser of fund raising events for both inside and beyond her community in Oulart. Motivated by the sad passing of her 9.5 year old granddaughter, Joan began her first fund raising venture by organising a mini marathon in aid of Our Lady’s Children’s Hospital in Crumlin. She went on to raise funds for many other children’s charities in her granddaughters memory. Joan, who recently celebrated her 60th birthday, requested that her celebration party become a fund raising party. 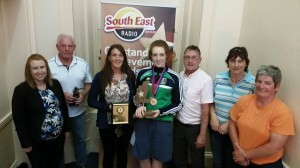 Testament to her popularity and how much she is loved by her family and community, they raised €3,000 for the Mental Health facility in Enniscorthy. A fantastic achievement. Joan thanked the many people in her local community who support her fund raising events. She said fund raising wouldn’t be possible without them or her family. Well done Joan from all of us at South East Radio and our partners the Talbot Hotel Group. A big well done to Joanne Richards, Templeudigan, New Ross, winner of the South East Radio/Talbot Hotel Outstanding Achievement Award for May. At just 16 years old, Joanne is a world class boxer. She won bronze, barely missing out on silver, in the Junior World Boxing Championship held in Taiwan in May, where she competed in the 66kg weight category. Joanne is no stranger to winning big titles. She won 3 Irish titles 3 years in a row with one at cadet level, qualifying her for the Junior World Championship. She won gold at the International Queens Cup in October 2014 held in Germany, beating a German boxer on home turf. It was the boxing worlds lucky night when Joanne followed her brother into St Michael’s Boxing Club in New Ross 3 years ago. She was hooked immediately, winning an Irish title in her first year. Joanne is an inspiration to young girls around the country as she follows in the big footsteps of Katie Taylor, another huge inspiration in the world of sport. The only way is up from here for Joanne. with her sights firmly set on the 2020 Olympics. We have no doubt we are witnessing the emergence of another Olympic boxing medalist. 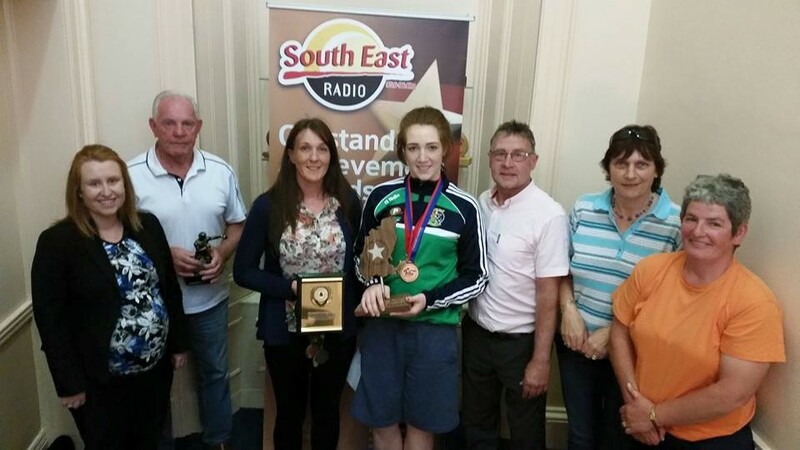 Well done Joanne, you have done yourself, your club, your family and your county proud. 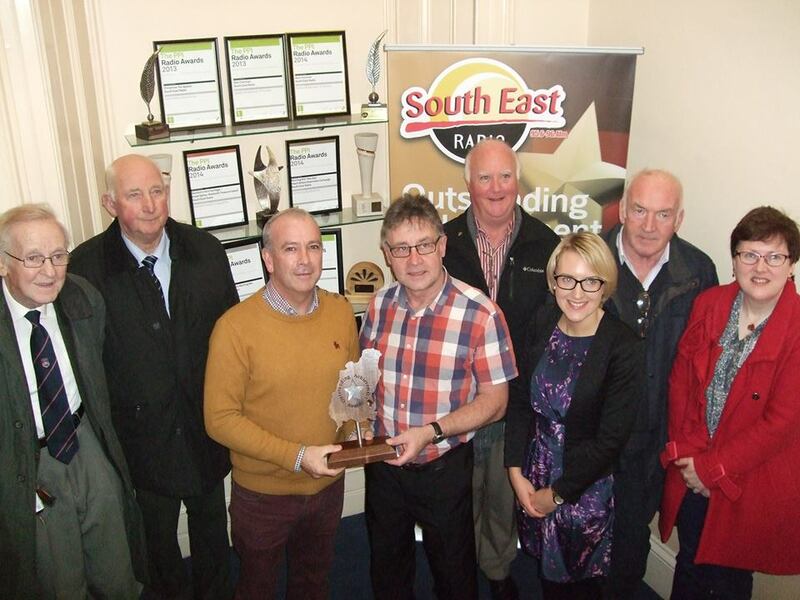 Surrounded by family and his extended family of Wexford GAA friends, Paddy Wickham receives his trophy, winning April’s South East Radio/ Talbot Hotel Outstanding Achievement Award. It is an understatement to say that Paddy works tirelessly for Wexford GAA because he has done more than that in his lifelong service to Gaelic sport. He has a long and established career playing and volunteering at both county and club level. At county level, Paddy held positions as County Chairman, Chairman of Fixtures, District Chairman, District Secretary and Senior/Junior Selector. He is currently a District Officer for Enniscorthy where he serves as PRO. He cites the juvenile final when he played for Ballyhogue against the Faythe Harriers as a sporting career highlight. In 1961 his team won the junior football final for Ballyhogue and Paddy went on with the team in 1962 to win the senior title. He took time out in the late 1960’s to start his own mini football team, the raising of 6 children! n 1969, Paddy was approached to go to the Davidstown Courtnacuddy AGM. He wasn’t too sure what this would lead to at the time, but he went on to chair the club in later years. There is no doubt without Paddy Wickham, a dedicated volunteer to Wexford GAA at county and club level, Gaelic sport in Wexford, would not have experienced the great success it has enjoyed over the years of his service. 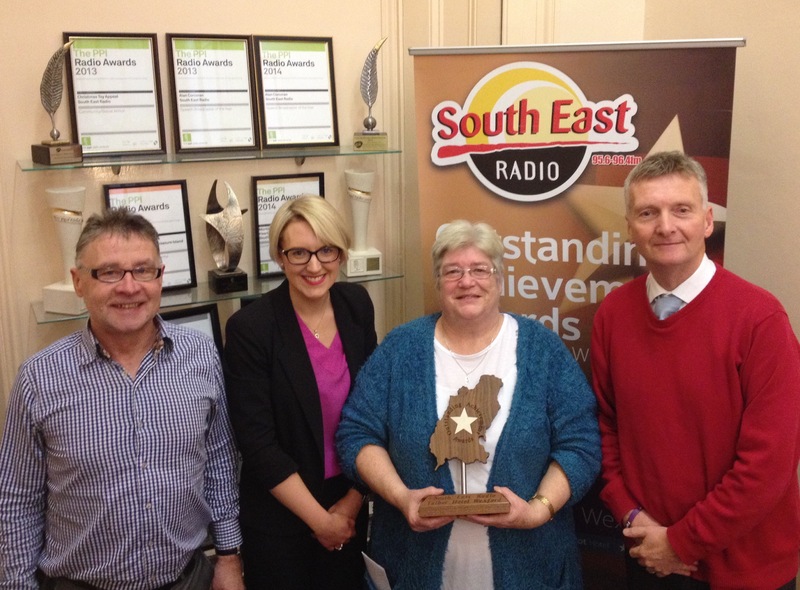 Mary Lawlor says that everyone has a talent and her talent is talking, however, the power of speech failed her, when she was a surprised recipient of the Outstanding Achievement Award for March! 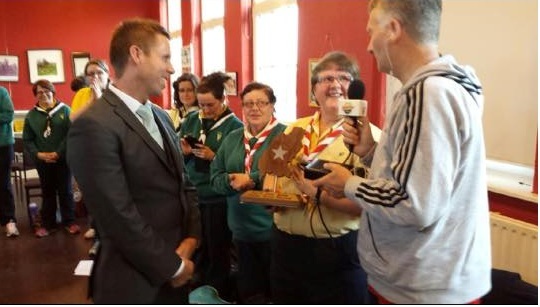 Mary, over her 50 years involvement with the Catholic Girl Guides of Ireland has made an outstanding contribution to the local, regional and national Irish Girl Guide movement. Her father and her uncle were both involved in the Boy Scouts and this encouraged Mary to join the Girl Guides as a young girl in 1965, the beginning of her lifelong association with the organisation. The leaders are trained to bring out the best in young girls and for the girls to bring out the best in each other. They work with them to become self sufficient and enjoy life to the full. A highlight for Mary in her 50 year involvement, is the friends she has made. She knows that they will remain her friends for the rest of her life. 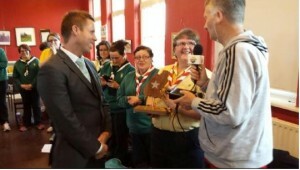 Mary was the Regional Commissioner and National Training Commissioner with the Catholic Girl Guides of Ireland and thanks the local troop for their support during the times she held those positions. Everyone was glad and relieved to hear that Mary has no plans to give up her tremendous work with the Catholic Girl Guides of Ireland, Wexford branch anytime soon! We wish you continued success Mary! Ben Wadding was a perfectly normal child, very sensitive and affectionate. Ben had a perfectly normal childhood and was adored by his parents and grandparents. He loved football and he was full of love and life. Prior to the summer of 2011 Ben had shown no signs of illness, until his health deteriorated rapidly during the summer months. His symptoms made it difficult for doctors to diagnose but eventually when they did, the result was devastating. He was sadly diagnosed with a severe and aggressive brain tumour. After eight months in hospital, three brain surgeries and chemotherapy, Ben left this world on the 28th of February 2012. He left behind his heartbroken parents, Bernard and Emma and a little brother Eoin, who only met him for four short months. This year, three years following Ben’s passing, Bernard and Emma dedicated their time and energy into organising the “Ben 5k” This huge undertaking was to raise funds for Our Lady’s Children’s Hospital, Crumlin whilst keeping Ben’s memory alive. The support from the Wexford community has been outstanding. With over 800 people registered to run, jog or walk, the response and generosity of the community has overwhelmed them both. Bernard and Emma’s hard work paid off and a fantastic fund raising event in little Ben’s name was realised so that he will always be remembered and cherished as the beautiful and happy little boy he was. We have huge admiration for Bernard and Emma’s courage and positivity in light of such sadness. 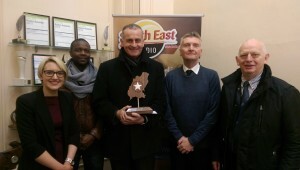 Congratulations to Bernard and Emma Wadding, Winner of February’s Outstanding Achievement award. Eddie Pheelan is the founder of Wexford Daddies Facebook page, a community based page where you can ask questions seeking help or advice on a wide range of topics. In the space of a few very short months the page has received over 5,000 followers. Wexford Daddies, is able to help people who are in genuine need. They help those for example, who for different reasons, are not receiving any Social Welfare payments and have no means of providing for their families or keeping their homes warm. Eddie was self-employed in the steel construction business up to the middle of last year. He now dedicates all of his time and even his own money to giving comfort to those who are less fortunate. He has helped people who were really desperate by regularly distributing food, clothing and bedding donations received through the Facebook community page from local people. 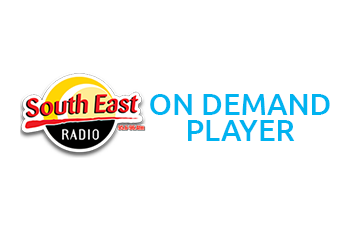 He delivers donations all over County Wexford seven days a week. On numerous occasions, people have called him in the middle of the night requiring advice, or just to be listened to as they were going through very difficult times. For these reasons, Eddie deserves our admiration. He is devoted to helping people in need and people who have nobody left to ask for help. We are very happy to award Eddie with our Outstanding Achievement Award and promote the incredible work that he is doing and the hope that he is giving people.